A man was rescued after injuring his leg while walking on the Pennine Way. 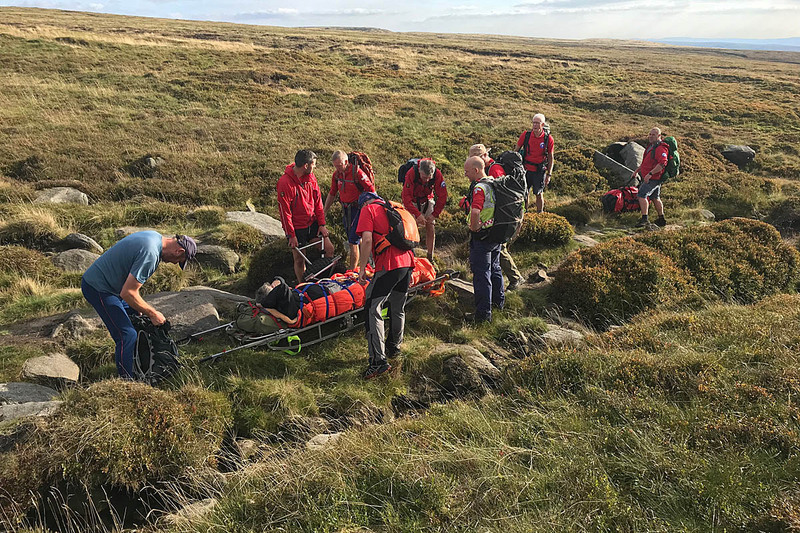 The 55-year-old from Gloucestershire was making his way from Edale to Torside on Wednesday when he injured his ankle. Glossop Mountain Rescue Team was called out at 3.10pm, with an advanced party making its way up on to Bleaklow from the Snake Summit. A team spokesperson said: “A short time after, the male was located with use of Sarloc, the smartphone tracking system, so Glossop Two hill party went in from Glossop Low. The walker was treated at the scene and then stretchered to the team’s ambulance on Glossop Low, about 2km to the west of the incident. He was then transferred to a road ambulance and taken to Tameside General Hospital in Ashton-under-Lyne. The rescue lasted just over four hours.